Due to heavy rains in Mumbai, we are working with skeleton staffing in Visa Application Centre and Call Centre. This may also impact the delivery and pick up of the passports. The Embassy of Luxembourg in India is pleased to announce the opening of its Visa Application Centres in India. The site provides information on procedures applicable to Indian nationals and foreign nationals legally residing in India who wish to apply for a Visa to Luxembourg for short and long period of stay. This site provides details related to your application submission and collection process along with other useful information you need to know. The visa applications are to be submitted at the Luxembourg Visa Application Centre. All applications collected by the Visa Application Centres in Delhi, Jaipur, Gurgaon, Chandigarh, Jalandhar, Ahmedabad, Pune, Goa, Puducherry, Cochin, Trivandrum, Mumbai, Chennai, Kolkata, Bangalore and Hyderabad Centre will be sent to the Embassy of Luxembourg in New Delhi for assessment and resolution. Visa Application Centre staff has no say in the visa decisions taken by The Embassy of Luxembourg. Applicants who wish to apply for a visa are requested to kindly read the information on this site carefully. The guidelines listed on this site will help you prepare your documents accurately. This will reduce the risks of your application being delayed or declined due to inadequate submission of documents. Please note that personal appearance may be required before the Visa / Immigration Officer at The Embassy of Luxembourg in New Delhi, prior to a decision being taken on your application. 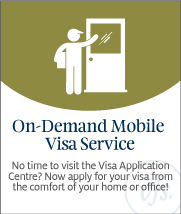 The Visa Application Centre shall assist you to take an appointment for the same. Kindly note that in case of refusal or withdrawal of the application, the visa fee, service charge and all optional fees are non-refundable. Applications which are admissible shall be decided within 15 calendar days of the date of lodging -excluding the transit time i.e. for satellite locations in India 2 working days(3 days for Trivandrum, Cochin and Pondicherry ) and for Nepal 4 working days. This period may be extended up to 60 calendar days if further documents are required and/or if further scrutiny of the application is needed. Step 1 : Before applying, please ensure you are very clear on your ‘purpose of visit’ – do remember we are here to assist and help you through the entire visa application process but are not permitted to advise or guide you on choosing a visa category. Since our work is primarily administrative in nature, we have no say on whether you will be granted a visa and how long it will take to process, as this is entirely the prerogative of the Embassy of Luxembourg. Go to ‘All about your visas’ link on this website and find out details related to the visa category you want to apply for – here, you can find the applicable fee, documents required, Visa application form, photo specifications and more. Step 2 : Complete your visa application form and affix your photograph. You may download the form from this website. Please ensure that you complete the form with all required information. You may download document checklist from this website. Step 3 : All applicants applying for short term visa or long term visa may submit their application at the VFS Visa Application Centre. Step 4 : Visit the Luxembourg Visa Application Centre during the working hours and receive a token number. Please click here to check address of the center you wish to submit your application at. Step 5 : Submit your application at the VFS centre along with the applicable fees. Step 6 : Track your application online. 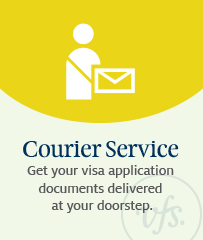 Step 7: Collect your passport from the Visa Application Centre or avail the option of courier delivery. 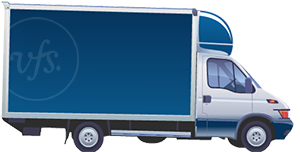 Please ask the officer at the VFS Desk regarding more details about the courier facility. Step 8: Please ensure you read the security regulation notices before you visit the Visa Service Centre. Applicants who have already applied for a visa can Track Your Application online and get the updated details. For tracking purposes applicants should refrain from directly contacting the consular section at the Embassy of Luxembourg in New Delhi. 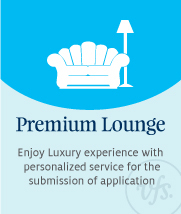 For your convenience we have additional services available. Call us on + 91 22 6786 6028 for more information.